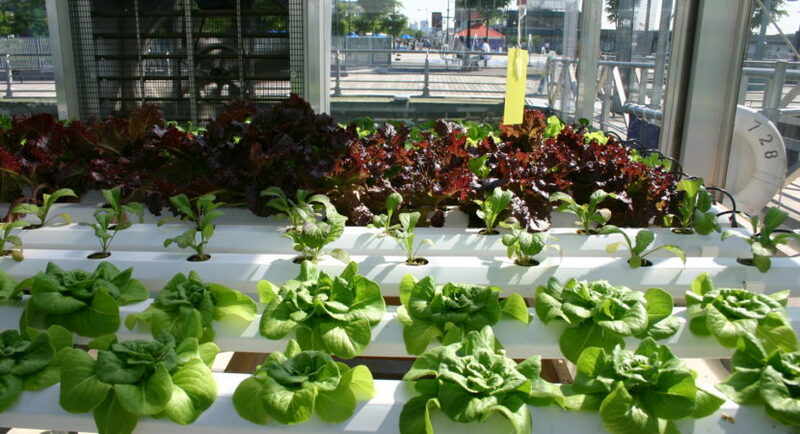 Hydroponics is one of the fastest growing industries in the 21st Century. However, the true potential of this industry is yet to touch its horizon; however, scientists and experts have high expectations from the wide scopes of protected farming in the near future. This system offers the ability to grow crops even in limited space and scarce resource of soil. The growing threats of pollution, environmental factors are harming agricultural industries quite in a way. Moreover, the rapidly increasing prices of food materials and resources like gas are compelling people in general to take the responsibility of managing their own food resources by themselves. Already more than 43 million American households grow potential amount of vegetables, berries and herbs. In an intentional and motivated attempt of making the world a better place to live in and environmentally friendly, this is one of the basic reasons why people are taking up the scientific agricultural trend of using composting and growing their crops. It is undoubtedly a health-conscious movement and adhering to the benefits of hydroponic nutrients is altogether a move towards a better world tomorrow. However, many people might be doubtful about the nutritional value of crops grown with hydroponics. But it is a proven fact, that these protected crops are equally nutritious and in no way deficient in their nutrient content compared to the normally agriculture crops and vegetables. Generally, plants derive their nutrition from the soil where they grow. But since in hydroponics the use of soil from growth of vegetation is essentially eliminated with the alternative use of nutrient solutions, many people wonder if the vegetation grown will be of similar nutrient value. In hydroponics, plants are houses in warehouses or greenhouses instead of planting them in field. There are tall shelves in which the plants are placed. Instead of letting them grow in direct sunlight just like normal vegetation, they are treated under artificial light. Now it is a fact that plants form the vitamins by themselves and this is the reason why either you grow plant hydroponically or normally in soil, their vitamin levels will remain the same. It is not the vitamin content of the plants but the mineral content which can essentially differ, since the miner plants are dependent on what kind of fertilizers are being used. Now, when you intend to enhance the nutrient level of vegetation, all you need to do is increase the nutrients of the solution you use to grow these crops. Hydroponic nutrients can be enhanced by adding more nutrients to the solution, therefore you can accordingly add magnesium or calcium or even some minor elements like that of iron or zinc in the solution that you use for growing the crops. As a result, you can actually derive nutritionally superior vegetables compared to normally grown vegetation. Apart from the opportunity of deriving superior nutritional value of vegetation, hydroponic also offer a ton of other advantages. You do not require a conventional yard for growing crops; instead you can grow desired crops in interiors. You can save extensively on farming by adapting hydroponics. You don’t have to depend on seasons for growing a particular type of crop; instead you can grow them all year round. You don’t need to take the usual stresses of agriculture rather it is a relaxing hobby. Moreover, hydroponic gardens are known to consume 2/3 less amount of water for farming. The growth rate of a hydroponic plant is 30-50 percent faster than one grown under the same condition.